These are the industry standard 1/4" inch diameter flaring eyelet/rivet used in making thermoform sheaths and gun holsters. 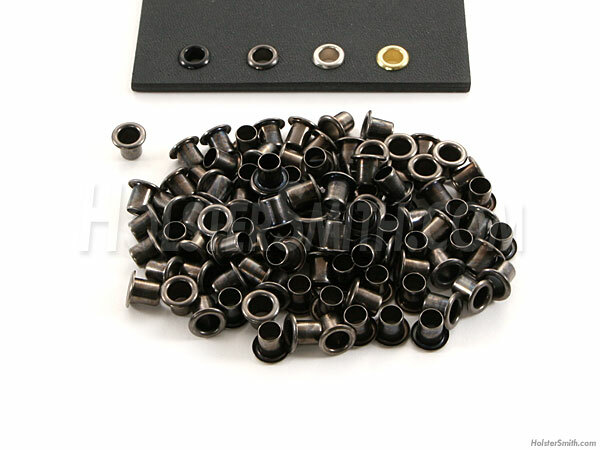 These professional grade eyelets are designed for us to roll over perfectly with our Eyelet/Rivet Flaring Die System. The Gunmetal finish on these are smooth polished and are designed to match similar knife and gun finishes.